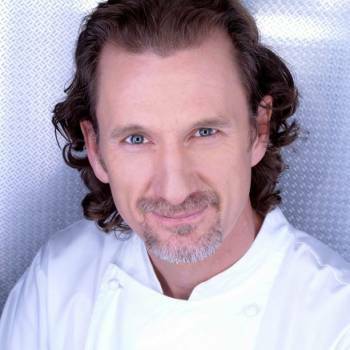 Paul Rankin changed the face of culinary Northern Ireland when he opened Roscoff, the restaurant that was to become the first to win a Michelin Star in the country. Soon after opening, it became the favourite meeting place for the Belfast business and arts community, and people travelled from Dublin simply to experience what was considered to be the best cooking in Northern Ireland at the time. 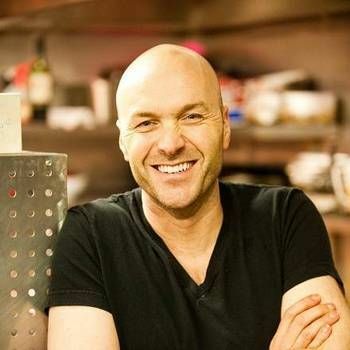 Paul is best known for being one of the longest standing and most successful chefs on Ready Steady Cook which regularly pulled in viewers of nearly 3 million. More recently, with fellow chef Nick Nairn, Paul has presented three series of Paul and Nick’s Big Food Trip, traveling on a boat around the coasts of Northern Ireland and Scotland exploring their Ulster Scots culinary heritage. The third series was filmed in the USA following the trail of Ulster-Scots settlers who sailed to the New World three hundred years ago. Paul and Nick’s Big American Food Trip was shown on UTV and STV in 2015 as well as internationally including on Asian Food Channel and Canada’s GustoTV. Series 4 is aired in March 2016 on UTV in Northern Ireland and STV in Scotland. He has also appeared on Step up to the Plate (BBC1), Local Food Heroes (UKTV), Saturday Kitchen (BBC1), Ten Mile Menu (ITV1), and Celebrity X Factor (ITV1) as one of ‘The Chefs’; the group were so popular that they made it to the final stages of the competition. Paul has had several of his own series, including The Rankin Challenge, which won two coveted Glenfiddich awards, and Gourmet Ireland (BBC1) which was also transmitted on the PBS network in the USA and the accompanying book was published by KQED (USA). The series has also been sold to SBS in Australia, TVB in Hong Kong, TVNZ Pacific and TV2 in New Zealand, and to CBET Windsor in Canada. In 2013 Paul appeared in Chefs: Put Your Menu Where Your Mouth Is, and in 2014 on series 4 of Pointless Celebrities on BBC One. In 2014 he appeared in three episodes of Win It Cook It on Channel 4, and as a panellist on BBC Two’s The Great British Bake Off: An Extra Slice. As a successful cookery author, Paul’s books include New Irish Cookery, Dublin Dining, Hot Food, Gourmet Ireland, and Gourmet Ireland Two as well as contributions to books for BBC programmes Ready Steady Cook, and Saturday Kitchen. In 2005 he was asked to overhaul the menus at a Belfast care home for the elderly and his enthusiasm for this cause has led to him addressing conferences and events for care industry professionals and this in turn triggered a Tonight with Trevor McDonald special programme on the subject for ITV1 in which Paul was heavily featured. Paul is an ambassador and consultant for Sodexo’s education programme, inspiring healthy eating and cookery skills among children in UK schools. He has his own range of traditional Irish breads ‘Rankin Selection’, launched in 2002 through a partnership with Irwin’s Bakery. The phenomenal success of the bread range in UK supermarkets inspired Paul to develop the brand further and in 2004 he launched an Irish sausage range. Ruth Langsford presents ITV1’s flagship daytime show This Morning every Friday with her husband Eamonn Holmes. Much respected television and radio presenter, currently presenting a mid-morning show on Smooth Radio, as well as the ITV Breakfast programme Good Morning Britain. Chef and host of Sunday Brunch.